This was a great conference, held in Jersey City, New Jersey, with a fantastic view of the New York City skyline. Yesterday, I really enjoyed teaching medical students about my field: Physical Medicine and Rehabilitation (PM&R). Throughout the year I teach medical students where I work, at Rutgers New Jersey Medical School. But this once-a-year “Medical Student Fair” brings in medical students from many different medical schools from around the country. Dr. Foye recently attended the Pain Medicine Symposium 2017, which is a medical conference for pain management physicians. The conference was run by the New York Society of Interventional Pain Physicians (NYSIPP) and the New Jersey Society of Interventional Pain Physicians (NJSIPP). There are many reasons why doctors choose to specialize in a given area of medicine. The video below was done by the American Academy of Physical Medicine and Rehabilitation (AAPM&R) regarding why doctors choose to specialize in Physical Medicine and Rehabilitation (PM&R). 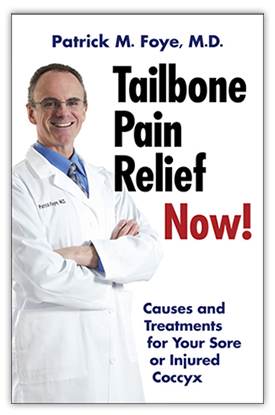 It features Patrick Foye, M.D., and other PM&R physicians.